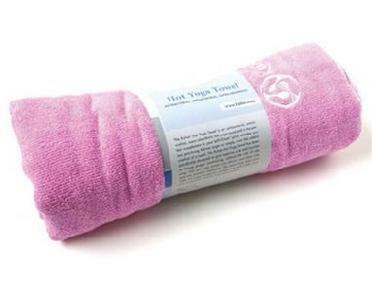 The ultimate towel for grip, hygiene and comfort while practicing yoga! Antibacterial, antimicrobial, 100% recyclable, super-absorbent, this hot yoga towel is the perfect complement to the tpECOmattm family of kulae eco mats. This Hot Yoga Towel has been specifically designed to give superior grip and traction to ensure proper positioning, without the risk of slipping. Silicone and latex free and are machine washable. Whether you are practicing Bikram Yoga or another style of hot yoga, or simply want the added comfort of a towel, these extra long and extra wide yoga towels are a great addition to your practice. Babies and kids love it too!